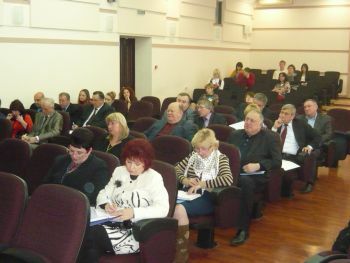 The Third phase of joint EU/UNDP Project “Community Based Approach” was officially launched in Donetsk oblast on 13 November 2014 during regional seminar in Kramatorsk. 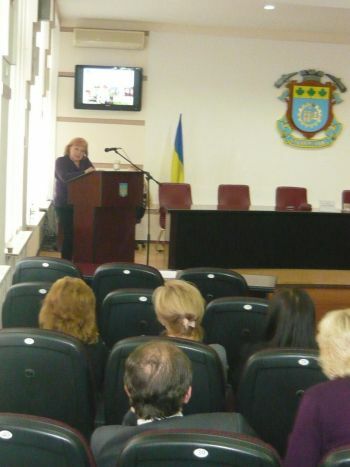 Distinguished attendees included Mrs. Halyna Churikova, deputy head of economic department of Donetsk oblast state administration, Tamara Beliankina, deputy of Donetsk oblast council, the UNDP Deputy Resident Representative in Ukraine, Mrs. Elena Ruditch, CBA Project Community Development Specialist, leadership of rayon state administrations and rayon councils; and heads of village and city councils. Implementation of the first phase of CBA Project commenced in Donetsk region during March 2009. First phase was succeeded by a second phase in July 2011. Over these two phases 135450 of men, women and children of the region have benefitted from improvement in 78 schools/kindergartens, 15 healthposts, 8 water supply, 8 street-lightning and so on. This happened through joint effort of the citizens, oblast/rayon/local level governments, CBA Project and the private sponsors.